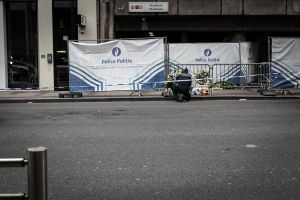 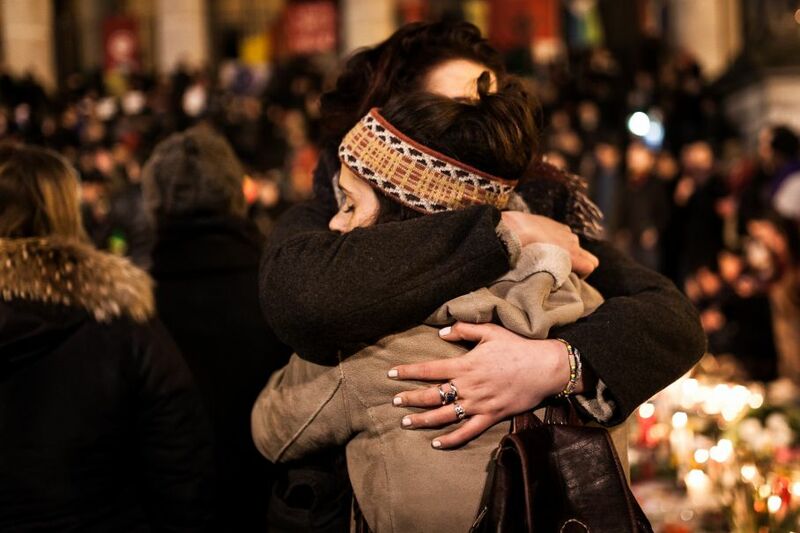 On March 22th, 2016, Belgium experienced several terrorist attacks on its soil. Unprecedented attacks because these were three suicide attacks. 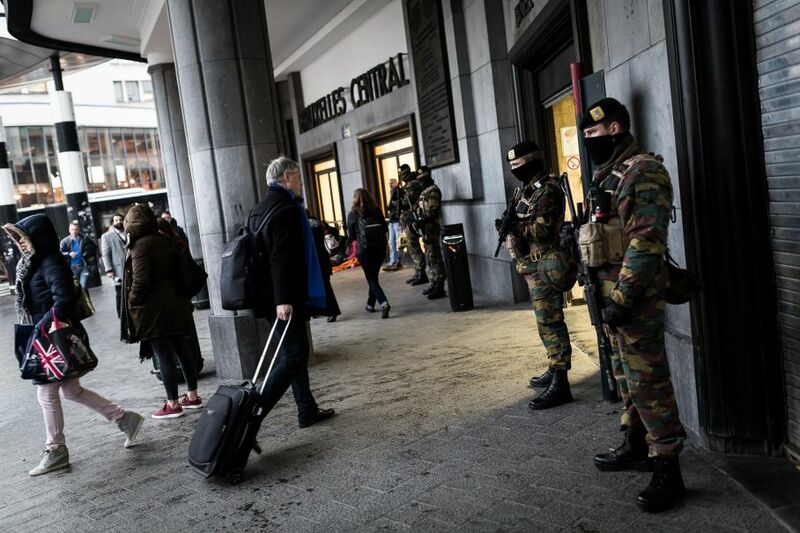 The first two, in the lobby of the international airport of Brussels Zaventem, a third terrorist blowing himself up in a subway train, near the Maelbeek station, in the heart of Brussels European quarter. 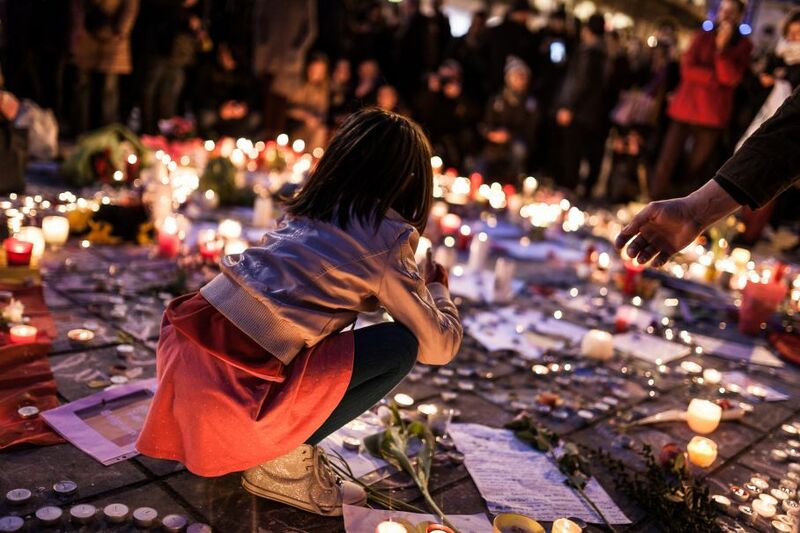 In little more than an hour, these two attacks plunged the country into a huge crisis. The threat level, previously located 3, was raised to 4. The air traffic was suspended. All security services were activated. 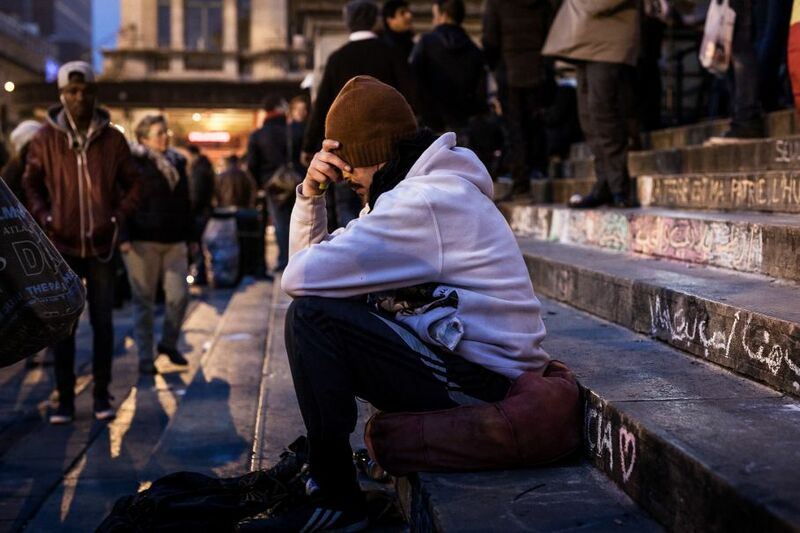 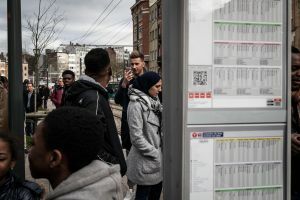 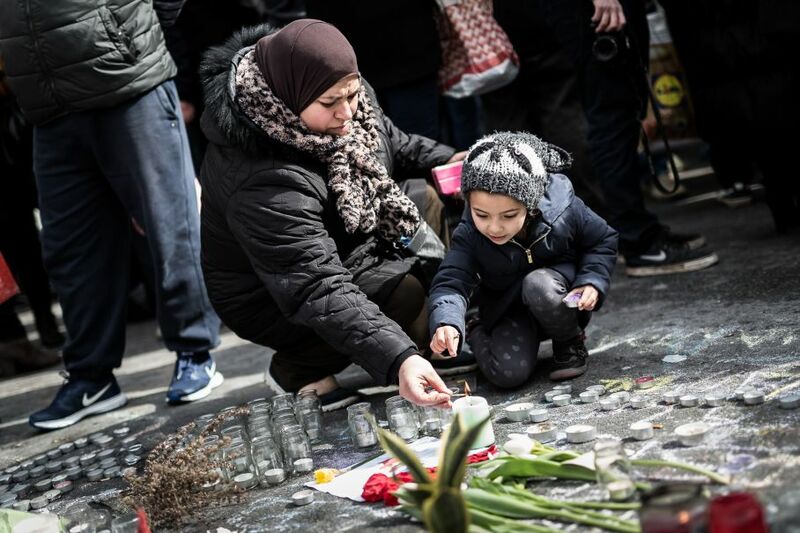 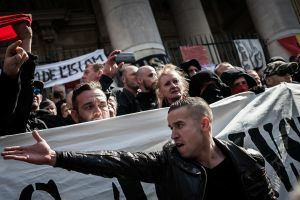 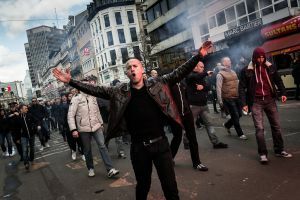 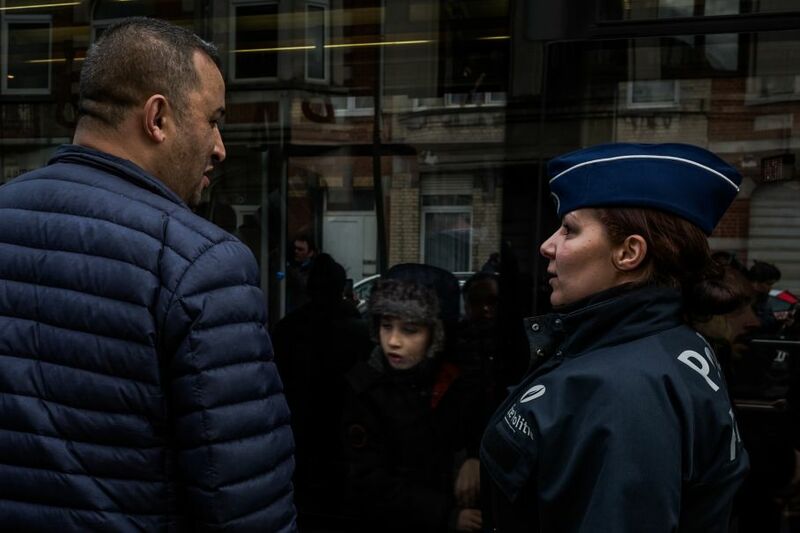 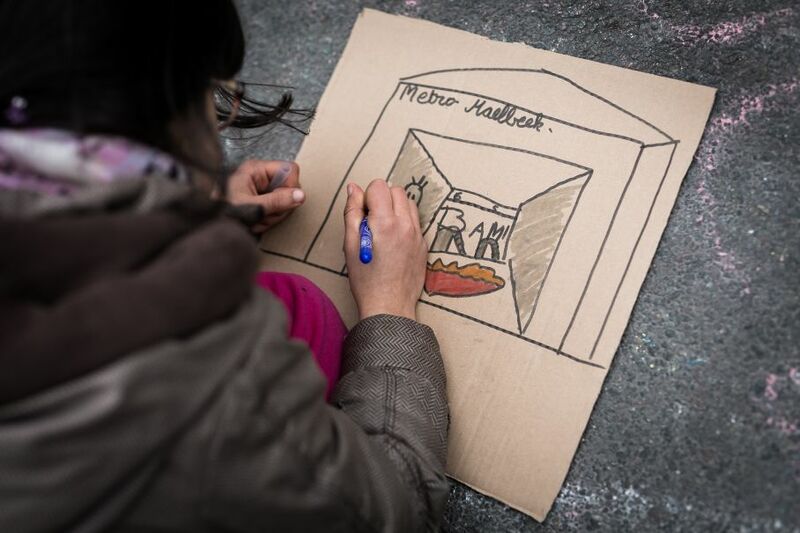 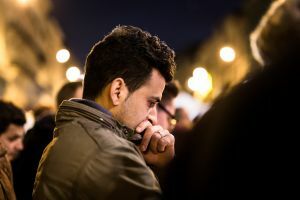 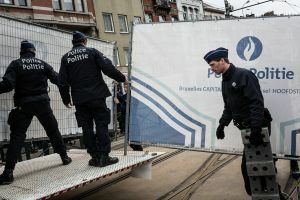 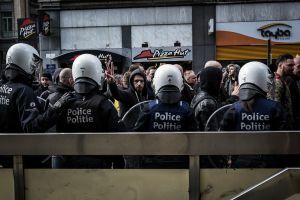 These attacks took place four days after the arrest of Salah Abdeslam in the district of Molenbeek-Saint-Jean as part of the search for the terrorist network responsible for the attacks of November 13th, 2015 in Paris. 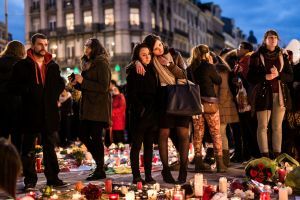 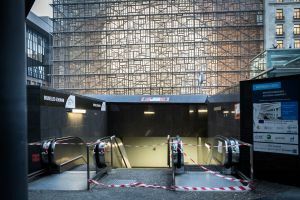 The day after the attacks, Brussels was sealed off and the government decreed three days of national mourning. 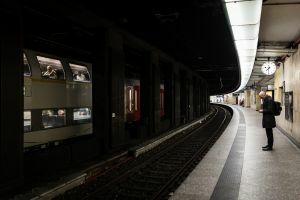 The metro network was closed. 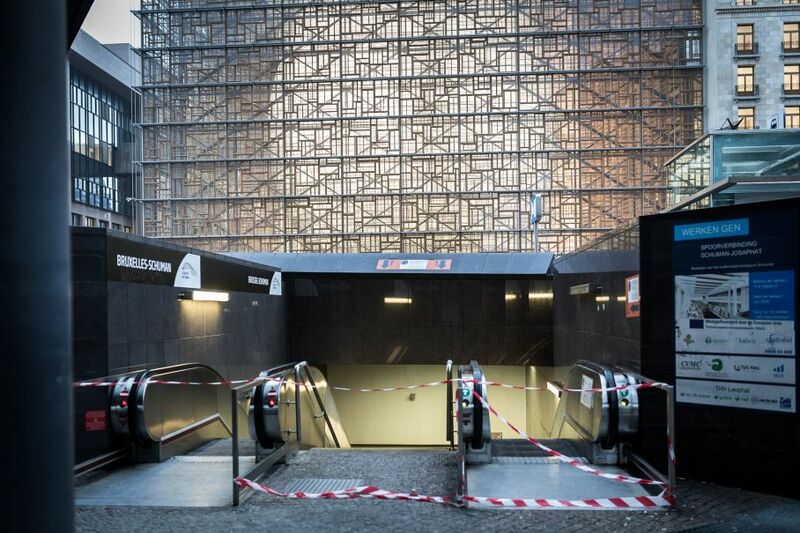 Key places were placed under high surveillance. 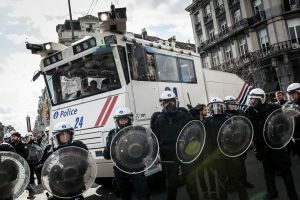 The army took position in the city. 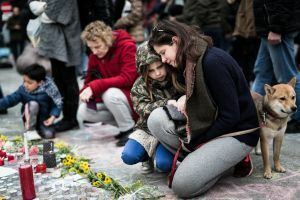 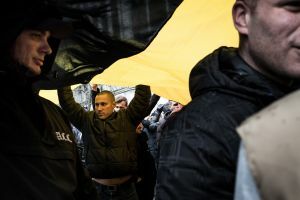 The Belgian people, however, certainly very affected by the attacks and the 32 death, wanted to keep the head up and show that it would not yield to fear. 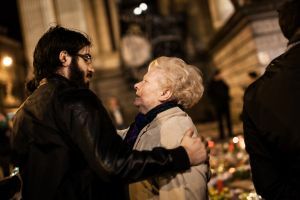 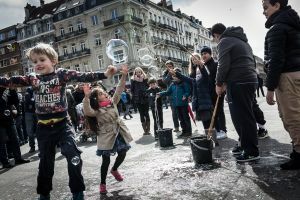 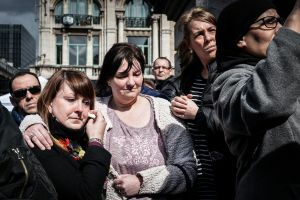 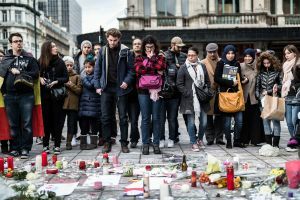 Spontaneously, people gathered at the Place de la Bourse turning it in a few hours into a gathering and commemorating place. 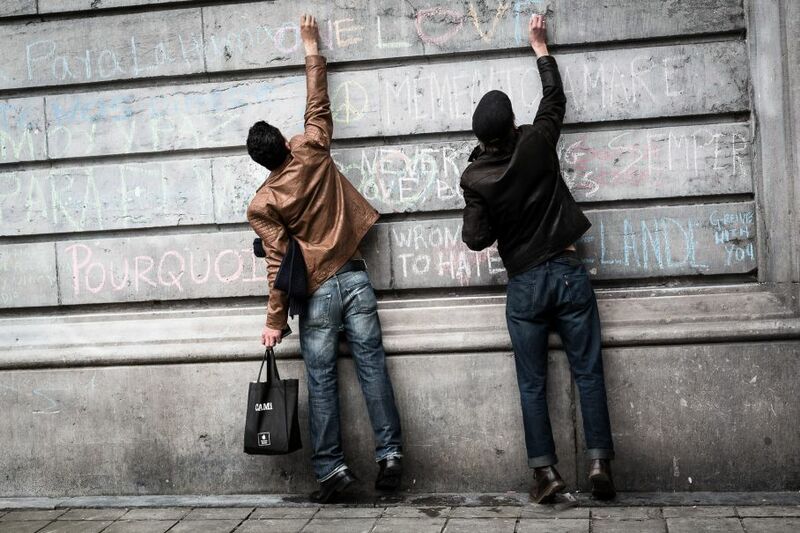 Everyone spoke their mind. 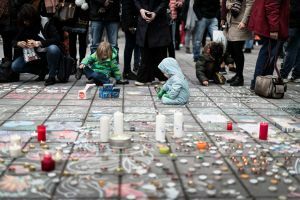 Some write on the ground, others lay a candle, a word, a drawing... The emotion level was high. 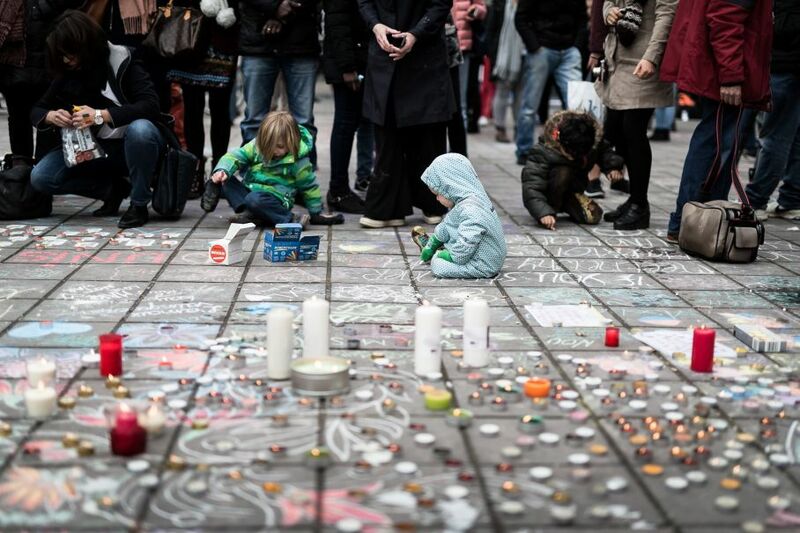 Several times, at noon, minutes of silence were held. 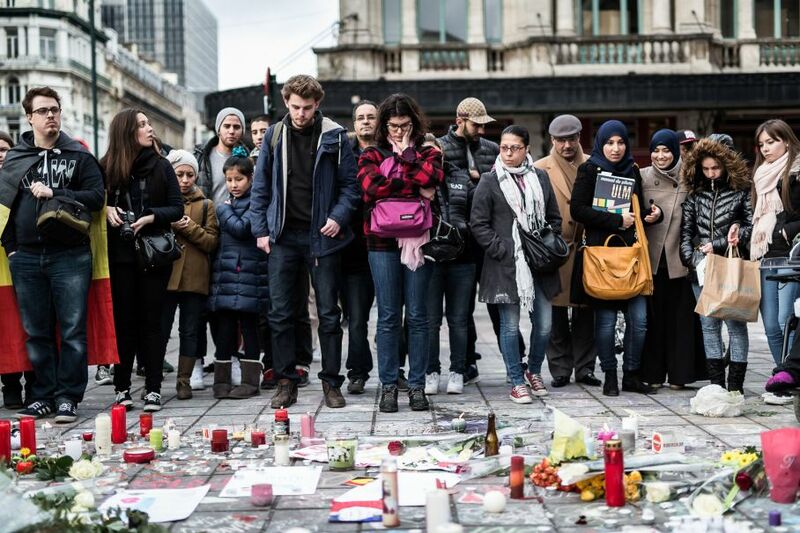 As days go by, more people gathered near the Bourse. 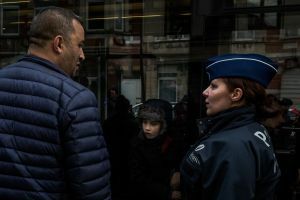 In parallel, police operations were taking place at a rapid rhythm. 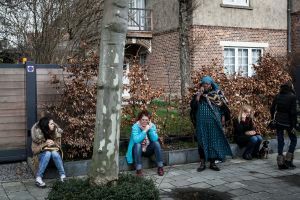 On March 25th, 2016, near the Place Meiser in the district of Schaerbeek, the area was sealed off near a tram station. 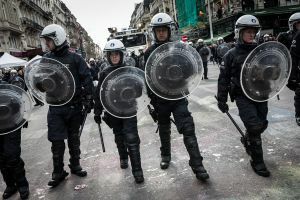 A man who took a woman hostage and was refusing to respond to police orders was shot in the leg by police and arrested. 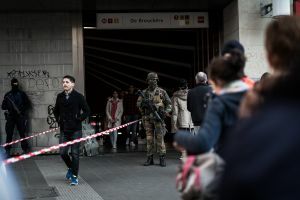 This police intervention was linked to an operation that took place in Argenteuil, France the evening before. 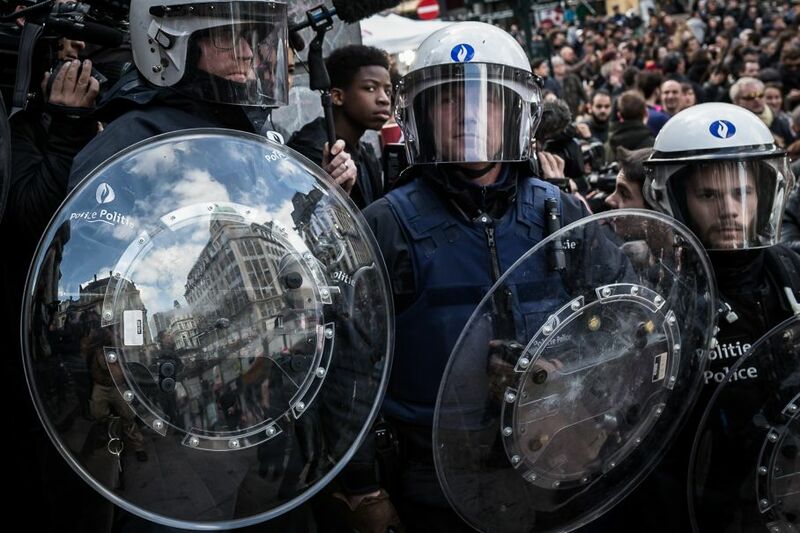 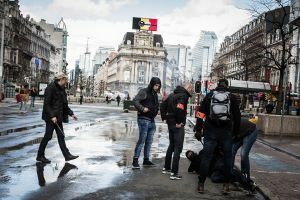 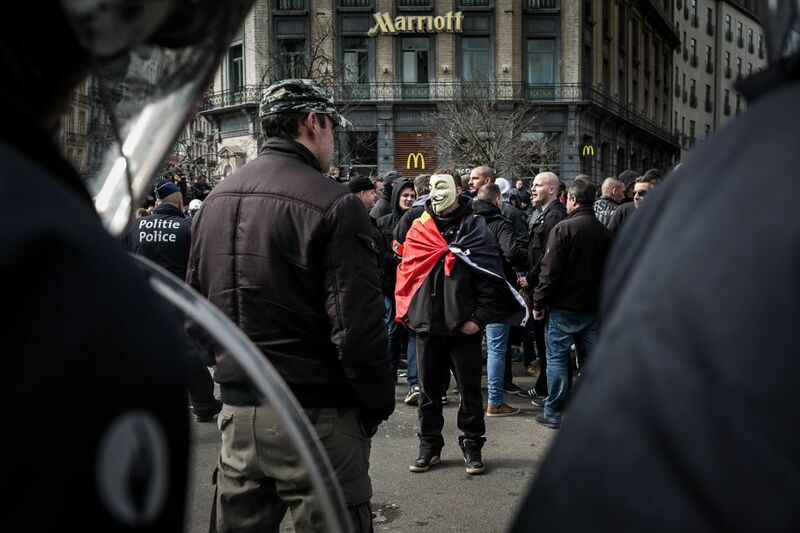 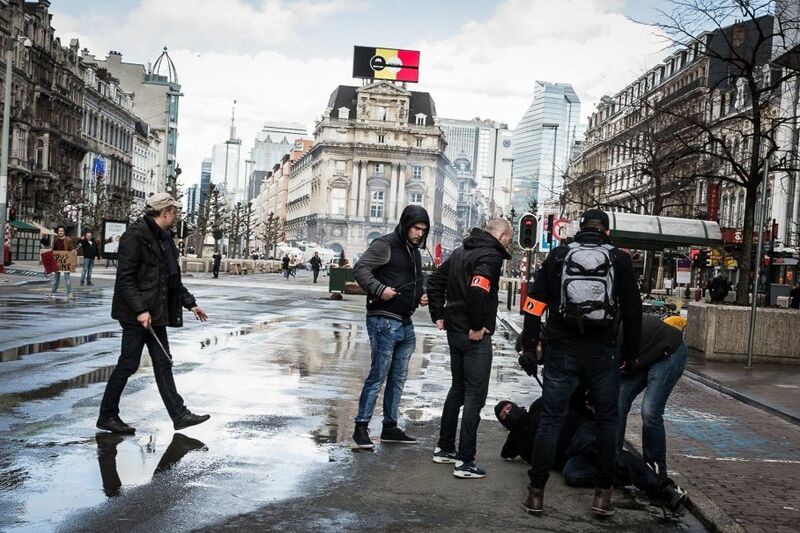 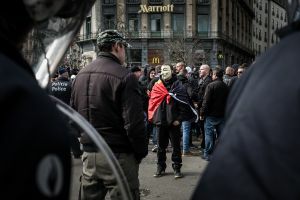 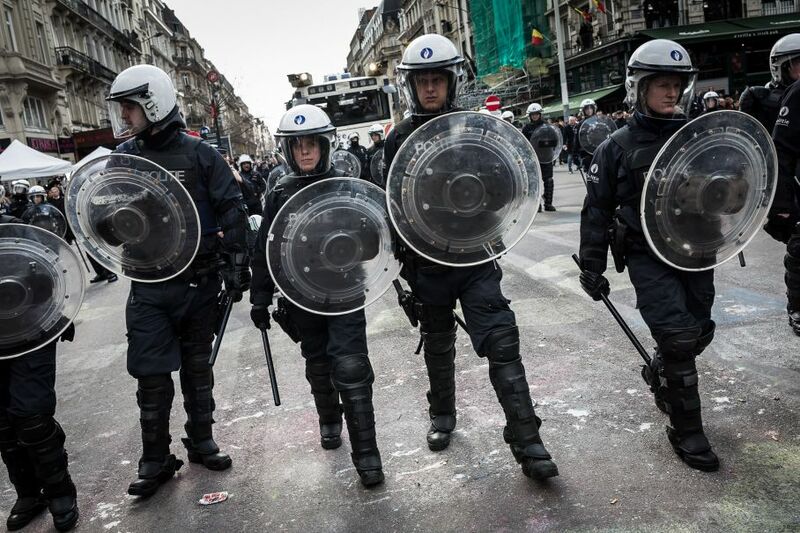 On March 27th, 2016, when several citizens associations had called for a march against fear in Brussels. 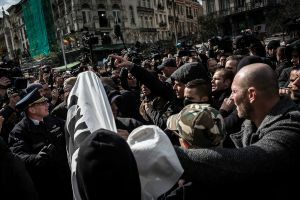 The government requested that the march be postponed for security reasons. 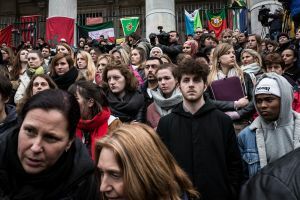 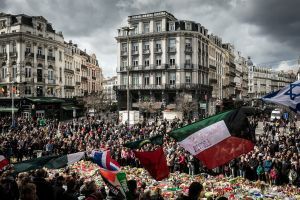 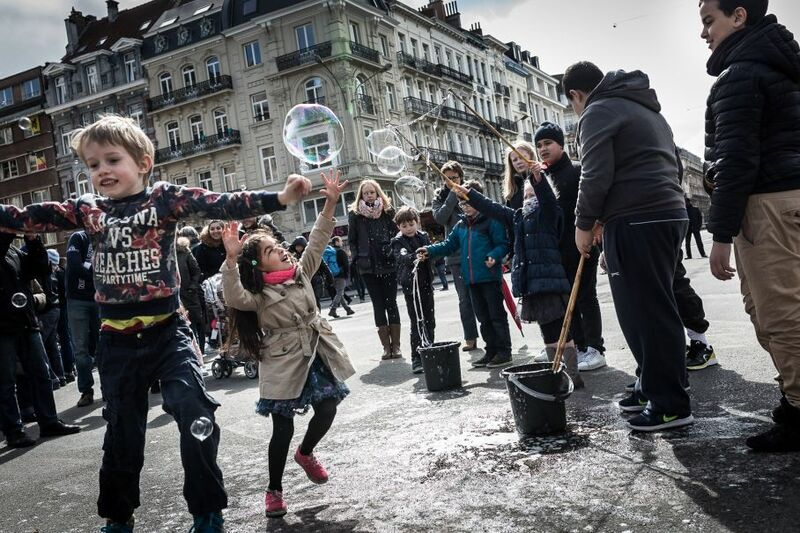 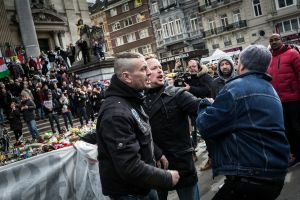 Despite the ban, many citizens gathered on the Place de la Bourse in Brussels. The gathering was calm and respectful. 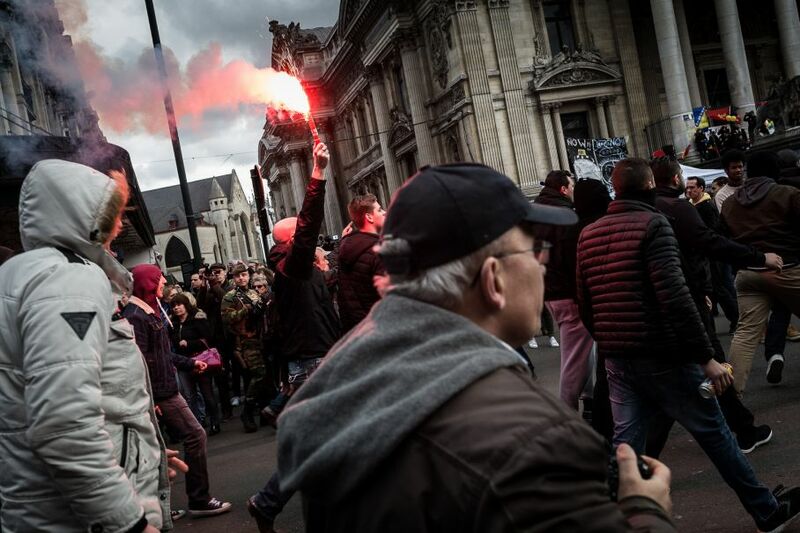 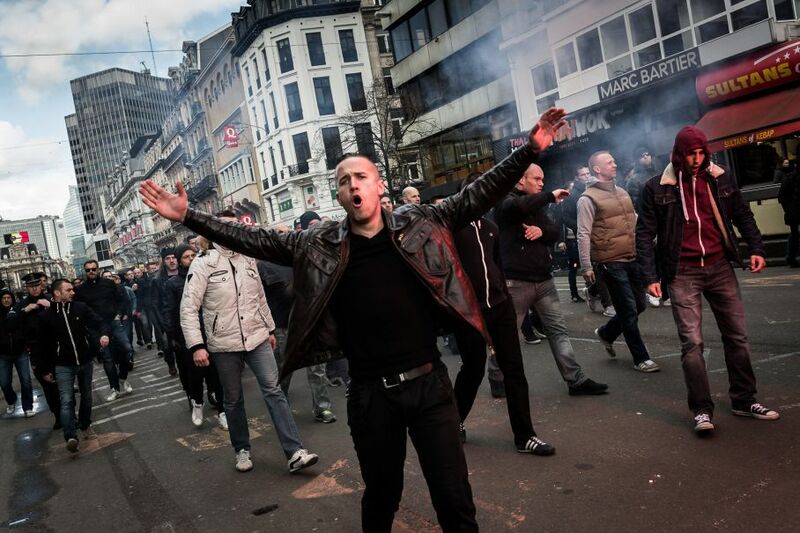 Then a group of several hundred hooligans and far-right members burst onto Boulevard Anspach. 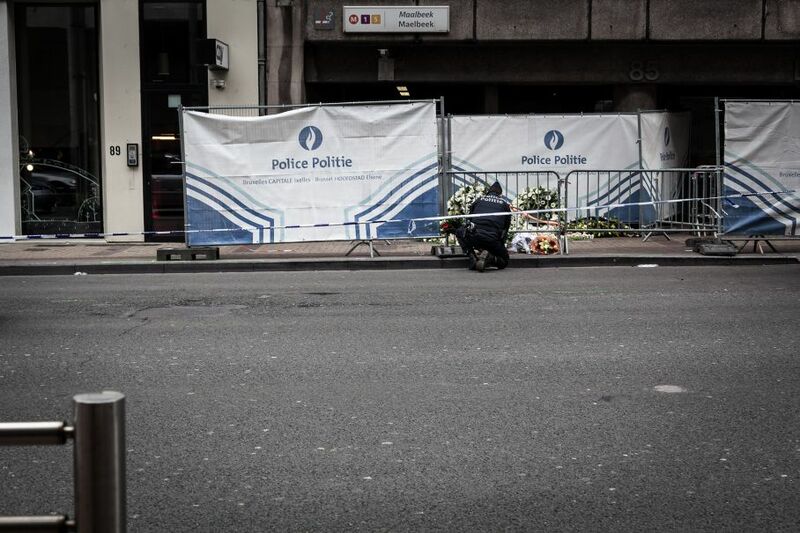 Despite this, the Belgian citizens gathered and showed their respect to the dead. 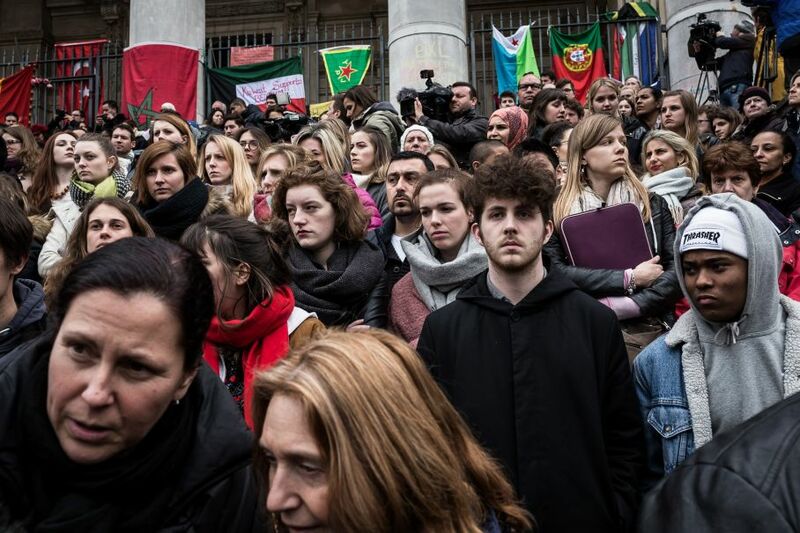 The country was united and made front. 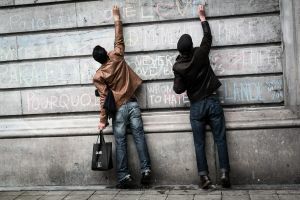 Wanting to prove to the doubters that they have no fear and that the desire to live in freedom is stronger than everything. This story was photographed between 22 March 2016 and 2 April 2016. 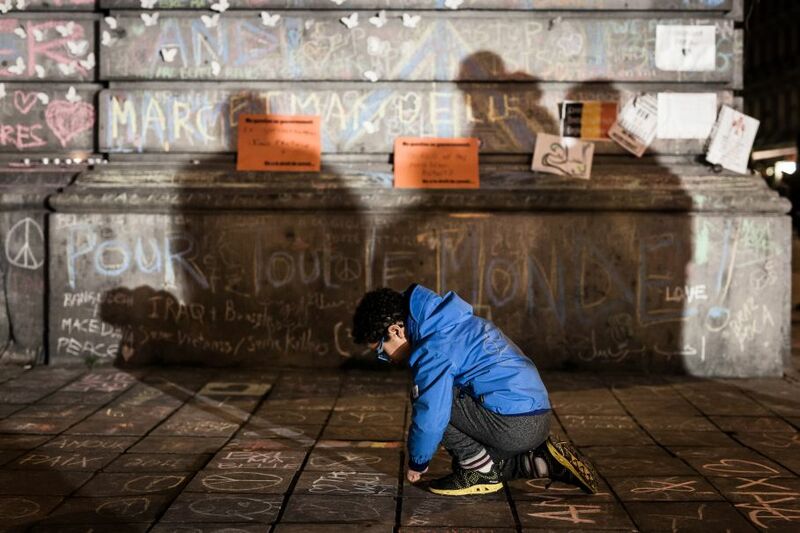 Most of these images were produced on assignment for the Associated Press.